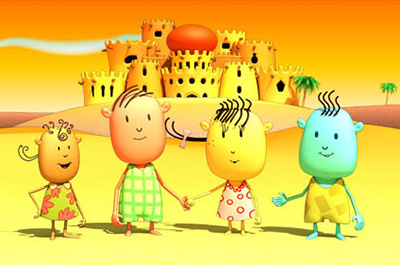 Nan and Lili is the world’s first animated pre-school series originally created in Arabic. Currently on air throughout the Middle East and Europe and in distribution.300 episodes in Arabic, English and French. Winner of a 2009 CINE Golden Eagle, two Telly Awards and a Certificate of Merit at INTERCOM of the Chicago International Film Festival, the mobile app based on the series received over 100,000 downloads in the first two months. Collectively, views on YouTube of the episodes uploaded are in the millions. This world-class 3D animated series features four enduring, cute characters set against a series of beautiful backgrounds. Reaching both girls and boys, the animated series targets pre-school children between two and four years old. Creative and interactive, the series is designed to engage young viewers in a playful way while being educative. The series educates preschoolers about a wide variety of subjects, ranging from the alphabet to developing self-confidence, creativity, determination and learning capacity.